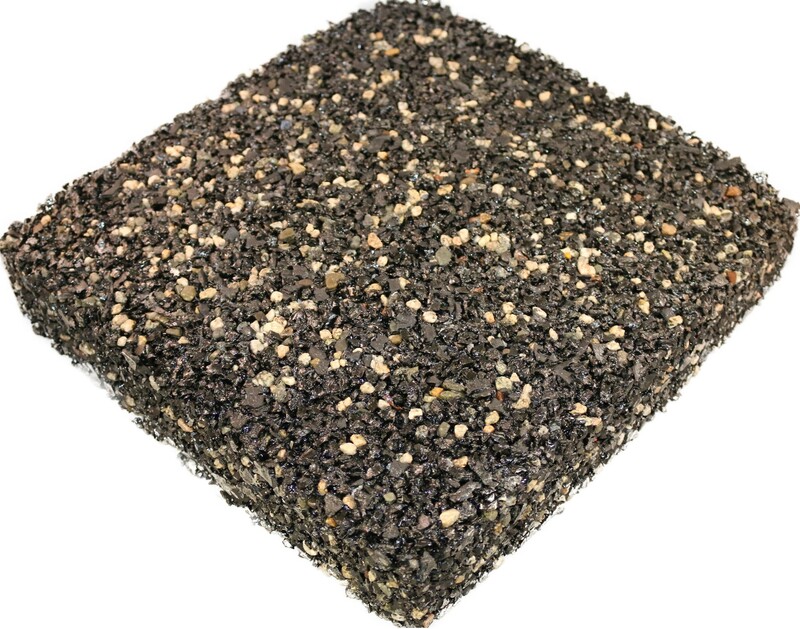 Rubberway's pervious rubber pavement is constructed of a large recycled crumb rubber granule which creates a very porous, open grid surface allowing for rapid rainwater dispersion and quick drying. In addition, this system is flexible, allowing for minor movement of under strata without cracking as well as flexibility for freeze-thaw. 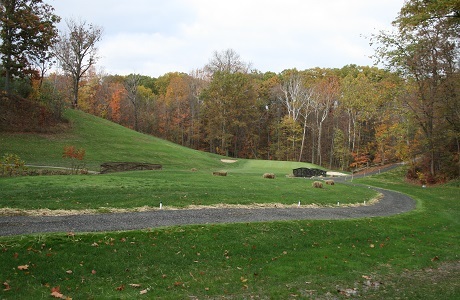 By allowing rainwater to penetrate through the surface, storm water run-off is greatly reduced and water is allowed to disperse throughout the subsoil to provide needed sustenance for trees and shrubs. 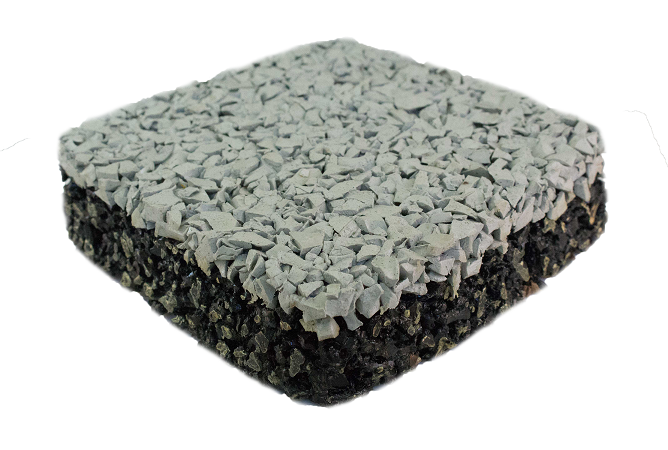 This porous rubber pavement is resilient enough to provide a low slip, spike resistant, comfortable and safe surface, yet firm enough to be suitable for more high impact use from skateboards, strollers, wheelchairs, bicycles, and light vehicular traffic. 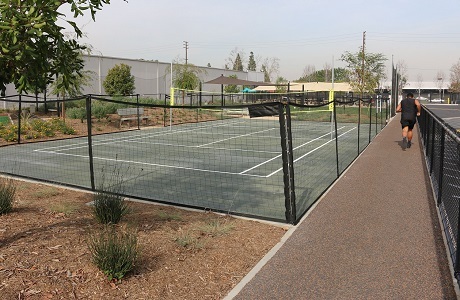 This flexible porous paving system is suitable for pervious pavement trails, paths, walkways, jogging trails, running tracks, permeable driveways, permeable parking lots, patios, courtyards, and school playground blacktops to name a few. 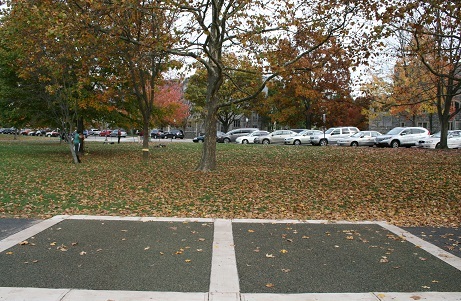 Rubberway porous rubber pavement is usually installed at 1 ½" to 2" thickness. 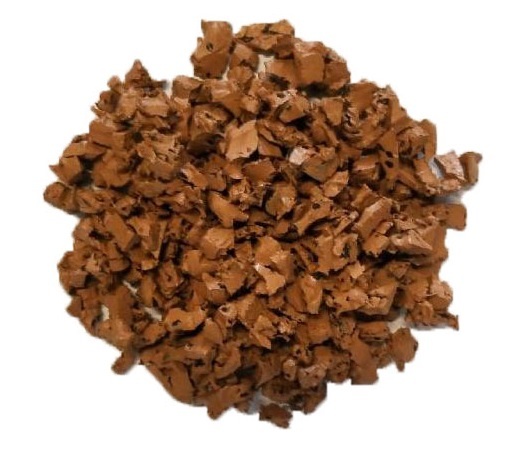 This system primarily consists of recycled rubber granules bound together using an environmentally safe, non-toxic binding agent to create a durable, long lasting surface. The rubber granules are derived from refined, recycled tires free of metal. These rubber granules are then encapsulated with long lasting, warranted, non-toxic pigment to replicate the appearance of asphalt or stone. 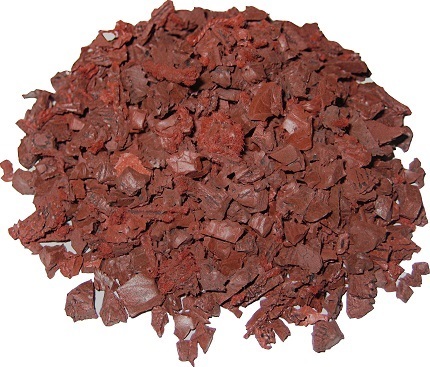 A range of colors are available to allow for creative options, including black, cocoa brown, brick red, tan, green, and gray. *Please note that some colors are special order and are not readily stocked in inventory, but can be made with a 3-4 week lead time. 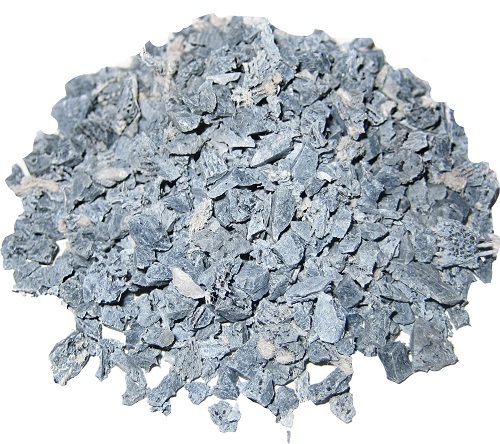 Our special binders are premium grade and derived of pure raw material compounds without fillers or volatile organic compounds (VOCs). The binders are water repellent with tensile strength properties that provide long term durability. 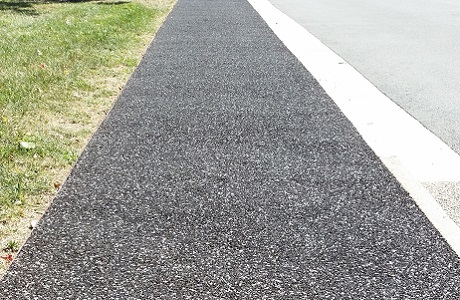 A number of different Rubberway pervious pavement systems have been developed to suit specific applications over the years, including RubberRock 6000 and EVOLUTION as explained below. 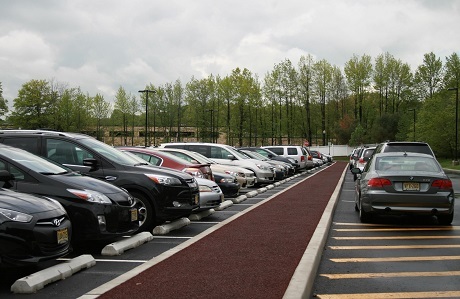 RubberRock 6000 is a heavy duty porous rubber pavement system specifically designed for permeable parking lots where stormwater management is desired. 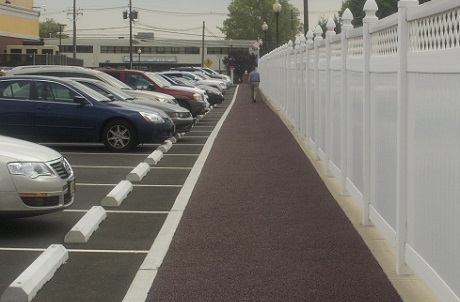 This pervious rubber pavement is extra durable and firm, yet still maintains optimal porosity, and is designed to withstand heavy weight loads and light vehicular traffic. 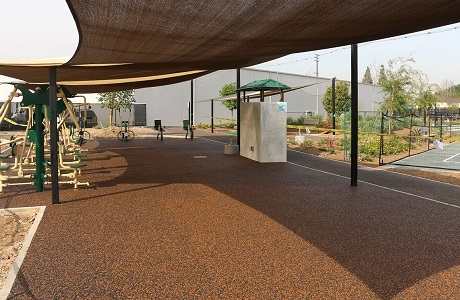 RubberRock 6000 includes a stone aggregate in addition to the recycled rubber granules and utilizes a proprietary binder that results in a harder, more durable surface. 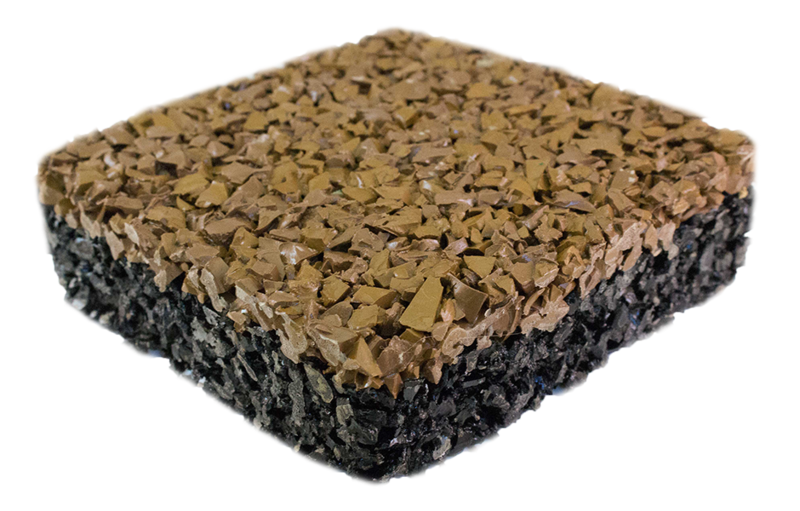 This porous pavement system is designed to provide typical asphalt properties with enhanced performance characteristics, such as force reduction, permeability, durability, flexibility, and noise reduction. Multiple color options are available. 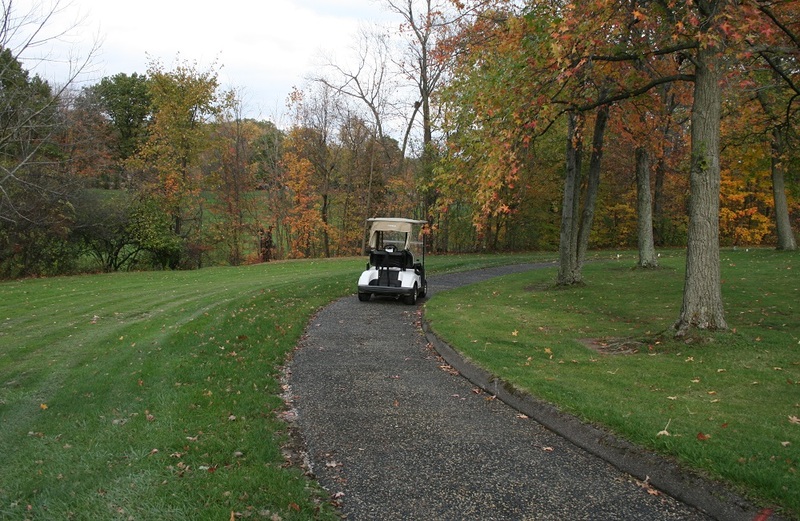 Rubberway EVOLUTION is a long lasting, durable pervious rubber pavement system that won't fade over time. EVOLUTION is open grid and rapid draining with the added benefit of long lasting color retention. This patented, two-layer system utilizes a layer of virgin rubber granules that are solid in color throughout to eliminate the possibility of the color wearing off. 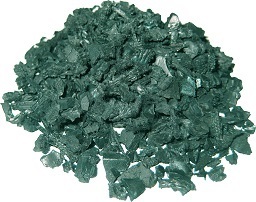 This colored rubber is mixed with a hard, clear, UV stabilized binder and then poured over a base layer of recycled rubber. 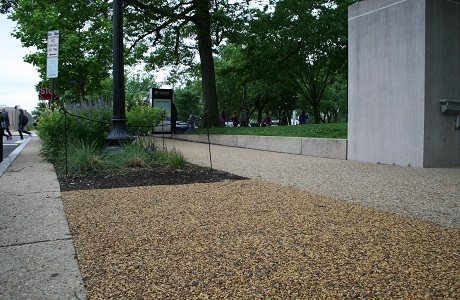 Rubberway pervious rubber pavements can be customized for your specific project needs. We can help ensure you get the right system by recommending the appropriate bonding agent, the proper size of rubber granules, the correct ratios of rubber to binder, and more. 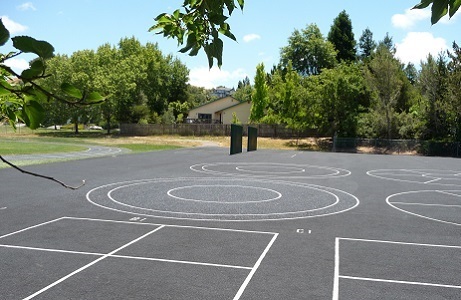 If you have certain project requirements and are not sure which Rubberway system will meet your needs, please contact us and we will be happy to recommend the appropriate system for you or work with you to come up with a custom solution. Our environmentally compatible technology is eligible for multiple LEED credits and exceeds EPA requirements for no heavy metal leaching. 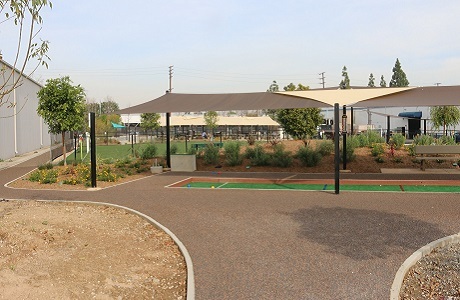 Rubberway Pervious Pavement is an open grid, rapid draining system that allows for groundwater recharge and reduces the volume of stormwater run-off. 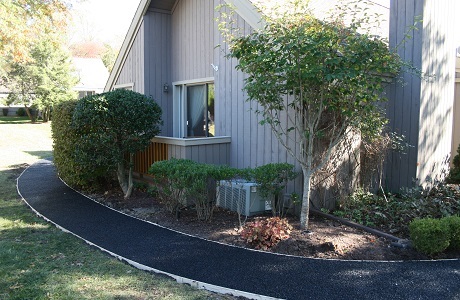 Rubberway Pervious Pavement drains at 56 gallons/minute/square foot. See LEED SS Credit 6.1, 6.2 for more information. 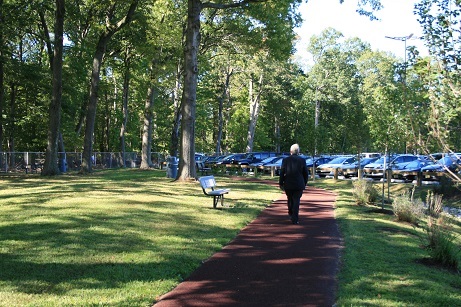 Most Rubberway Pervious Pavement systems utilize 100% recycled post-consumer passenger and truck tires. See LEED MR Credit 4.1, 4.2 for more information. Thickness: 1 1/2 - 2"